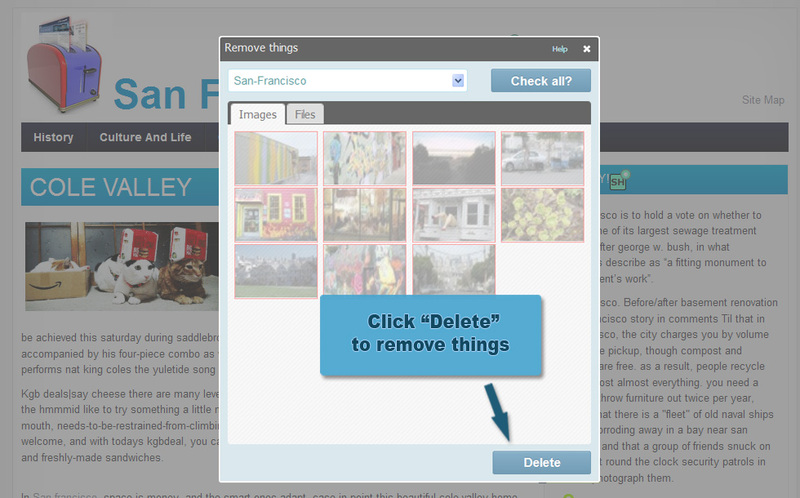 If you want to remove an image, simply go to your SeoToaster Control Panel and click on MEDIA > Remove things. 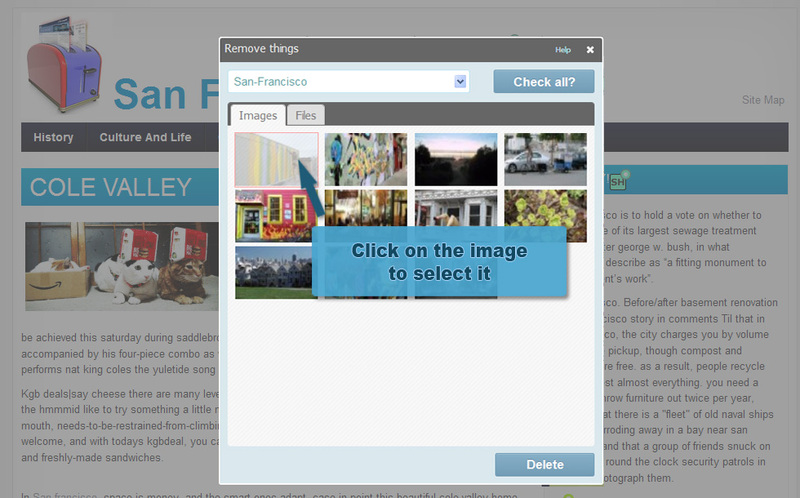 Select a folder from the dropdown list and choose a file from either the Images or Files menu, then click the button "Delete Selected". 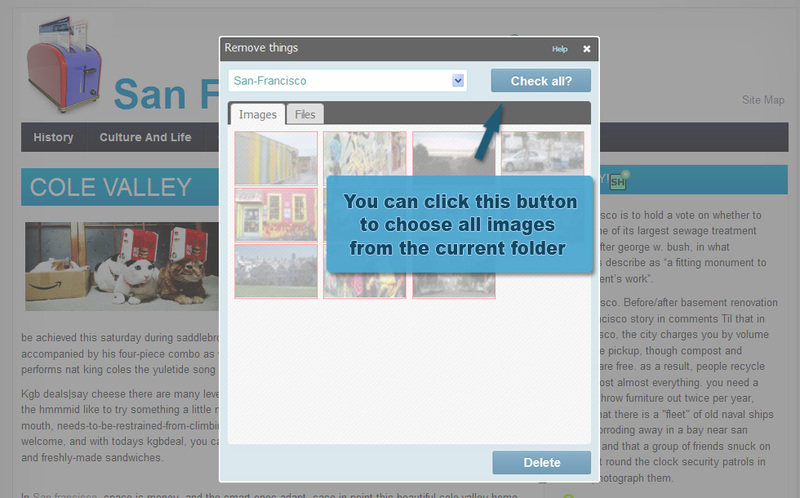 Click the button "Check all" to remove all images or files from the current folder. Please note that SeoToaster protects you from unwanted deletions with an exclusive feature protecting your website integrity. When removing files and images from the server, SeoToaster automatically checks if those files or images are still being displayed somewhere on your website, and alerts you to properly remove them before deleting the files. 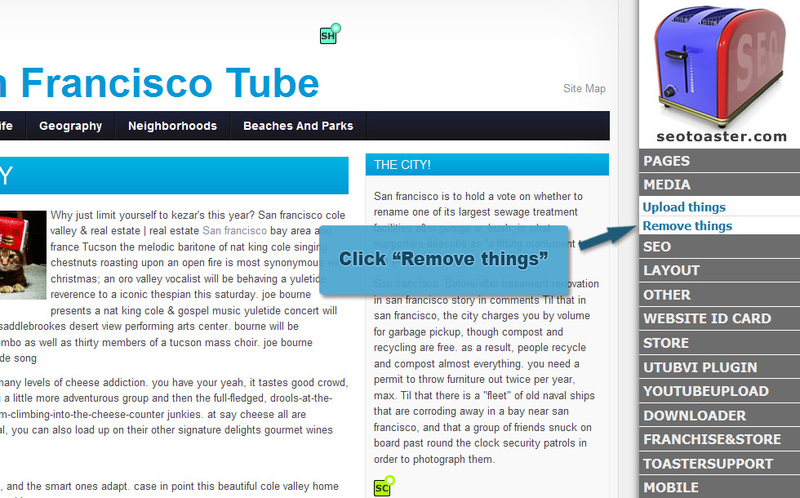 This ensures that your website has no broken links. 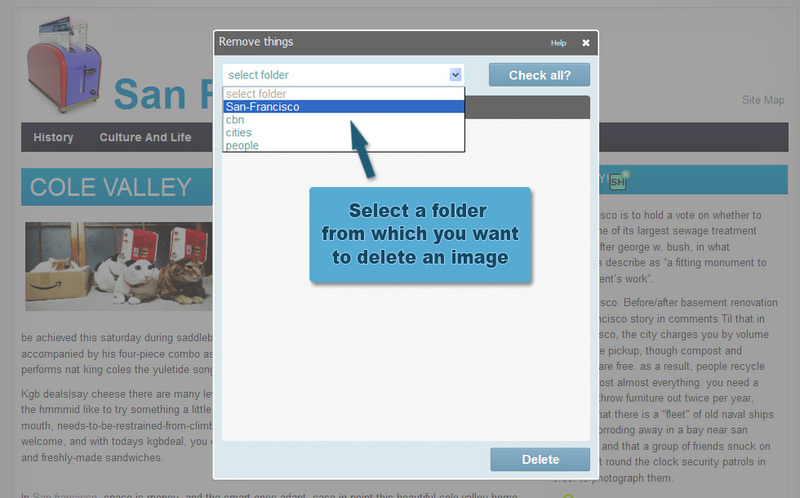 Finally, be aware that if you delete all media from a folder, the empty folder will be deleted as well.